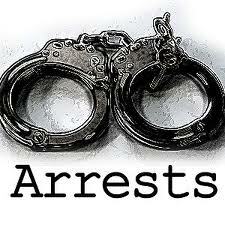 Mizoram Arrests HPC Leaders in Assam in Violation Of SoO with Assam Govt. Sinlung Says: The Mizoram government has used illegal means to arrest HPC-D leaders in Assam. Assam and Manipur which has a standing Suspension of Operation with HPC-D has let Mizoram illegally arrests the HPC-D leaders from Silchar airport. We will have to wait and see if this will be advantage Mizoram. As the HPC-D leaders were on their way to CYMA meeting and were caught off-guard. Aizawl, Jun 11 (PTI) 'Army chief' of the Hmar People's Convention - Democrats (HPC-D) Lalropuia and 'Deputy Army Chief' Biaknunga have been arrested at Silchar airport in Assam, Mizoram home minister R Lalzirliana said here today. Lalropuia and Biaknunga were arrested inside the airport after arriving from Imphal yesterday and were brought to Aizawl the same day, the minister told newsmen. The two top militant leaders were booked for several illegal activities including murder, extortion and intimidation, he said. The HPC-D, he said, had been violating the Suspension of Operation (SoO) agreement signed on August 22, 2008 with the security forces in Manipur with the knowledge of the Union Home Ministry. Accusing the Manipur-based Hmar outfit of trying to disrupt peace and destroy the integrity of the Mizos, the home minister said that anyone or any organisation indulging in illegal activities in the state would be firmly dealt with. The arrest of Lalropuia and Biaknunga would be a serious setback for the HPC-D led by its new chairman H Sangbera who recently joined the outfit.